There are millions of websites live on the internet, and you must be one proud web site owner. But due to the very similar look web sites having these days, the original look of any website is lost somewhere and there are very few things you can actually do to make them unique or let’s say make them stand out of the league. 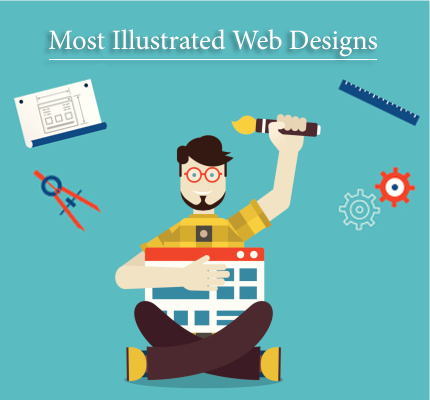 Adding illustrated web designs is definitely one on the list of those few things which can actually help you in giving your site that out of the league look. Today, I’d like to share with you ten unique, fantastic websites that incorporate illustrated images into the design to make them most illustrated web designs. Some do this with simple PNG and JPEG files, while others use Flash in order to make the page interactive. I hope you enjoy the list. 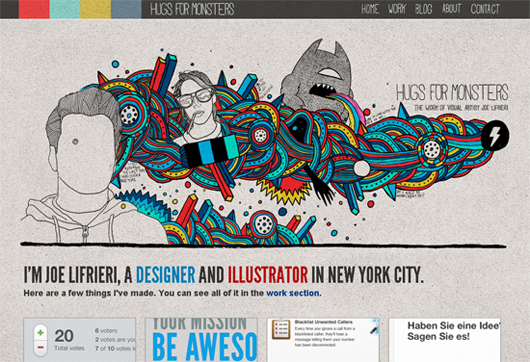 Hugs For Monsters is the homepage of designer and illustrator Joe Lifrier. The top of each page has a unique colorful drawing that showcases his unique style of illustrations. 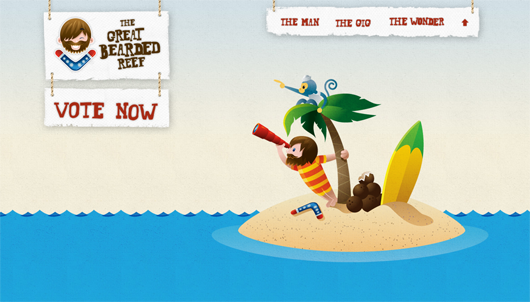 The Great Bearded Reef is a sharp design that was created for the self-proclaimed “bearded one” Josh Willis in order to apply for the position of “Island Caretaker” in Australia. At the bottom of the Pieoneers design is an illustrated ice cream character smiling on the moon while sitting aboard a spaceship with a fruit-filled pie on top. I have no idea what the connection is between space and ice cream, but the design highly creative and definitely unique. 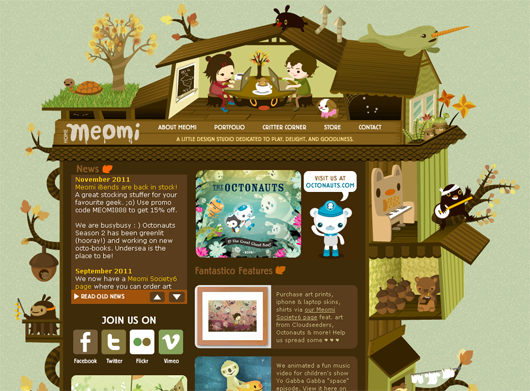 Arguably the cutest website on the web, Meomi has an interactive design that will make anyone smile. Whenever you scroll over the outside of the design (that is powered by Flash), something happens. For example, the little animal on the right side of the page will play his banjo, and the nearby piano will play piano music. This is one of the most original personal websites I have ever seen. Every area of the website can be viewed by interacting with the objects on the home page. Alternatively, you can navigate the site by clicking on the AB logo at the top left corner of the design to make a traditional navigation menu appear. 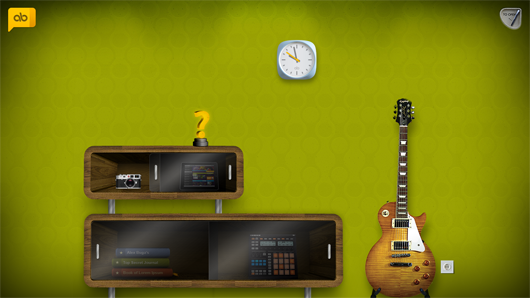 From the clock on the wall that tells the actual time to the music player that lets you play around with beats and sounds, Alex Buga’s website is a fun website to visit and a great example of what he can do. 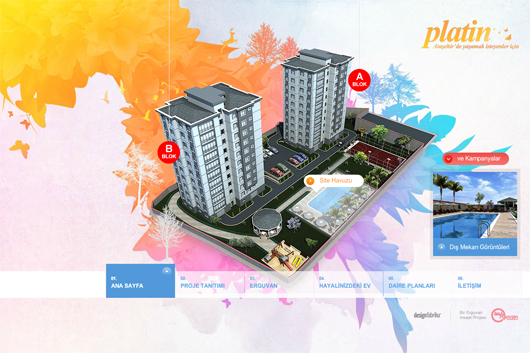 Platin features a colorful, interactive Flash-based illustration that was used to promote a new apartment block. The transitions from one section to another are beautiful. The K4 Lab website has been featured on many design lists over the last few years (and rightly so). It remains as a great example of how Flash can complement a website design rather than hinder it. 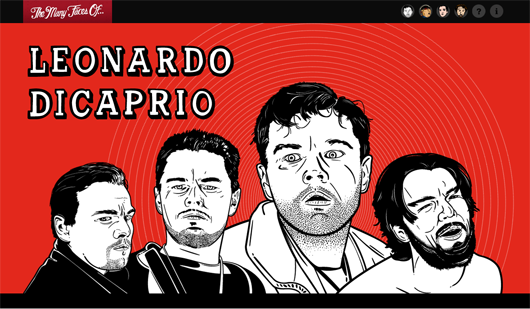 A hilarious website that looks at the many faces of Lenonardo Dicaprio, the Goonies, John Cusack, and Alan Rickman. Each section contains a large illustration in the header, as well as illustrated images throughout the content area. 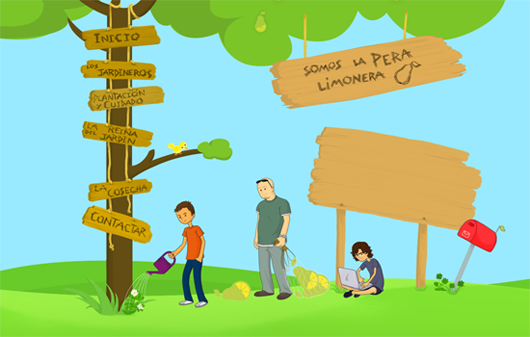 A fantastic illustration of three designers sitting under a pear tree. 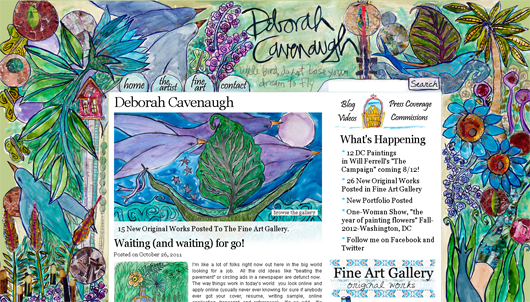 Deborah Cavenaugh’s homepage looks more like a painting than a web design. The colorful aspects blend into the content area, most notably with the painted search button in the top right corner. 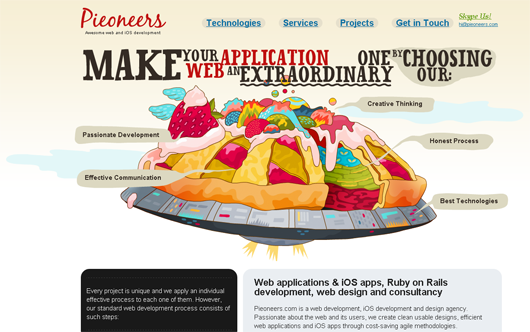 Share your thoughts on these illustrated web designs and whether you liked any of them. Also, check which one suits to your website the best.